Are you looking for that perfect baby shower gift or in need of some good ideas? Congratulations, we’ve got a bunch of ideas for all kinds of expecting parents. Baby showers can be stressful, but this page is filled with unique onesies that will make mom and dad giggle with joy. Before scrolling down, here are a few tips for you to keep in mind. First, rompers, onesies, creepers, and one-pieces are all basically the same thing. They come in different sizes, but they usually all have button snaps at the bottom for easy removal. Second, $50 is a good amount to spend on close friends and family members. Don’t feel pressured to go overboard. Fifty dollars gets you at least two onesies. If you don’t know the person that well, or they are a co-worker, try to keep it under $30. One romper should do the trick. Finally, we do not recommend purchasing onesies that are 0-3 (newborn size). Babies grow quickly and most people are already going to buy that size for a gift. We suggest buying baby clothing that has a size of 3-6 (6 months) or 6-12 (12 months). Trust us, that first year will fly by and they’ll need to have something to wear 10 months from now. Without further ado, here are our picks for the best baby shower gifts. Contrary to popular belief, grownups do play video games. This includes females as well as males. Sometimes, they even stop to reproduce. Joke’s on them, with a baby you don’t get to play video games ever again. Let’s keep that between us. Future parents are always talking about what movies, books and games they’re excited about showing their baby when it gets older. They go on and on about everything they are going to introduce to their upcoming little one. That’s a sign of a good parent to be. Any Jeff Goldblum fans out there? Maybe a big fan of Jurassic Park? This is perhaps one of the most unique rompers we’ve found in quite a while. It’s perfect for any expecting nerdy parents with a sense of humor. This onesie is ideal for families that play Dungeon and Dragons or similar types of role playing games. Just look at that charisma ability score of 18. This little one will be charming everything that lays eyes on it. Why not pair this onesie with a set of giant dice for the baby? Most of the baby shower gift ideas listed here are for nerdy families, but if you aren’t sure exactly which item they would really want, then purchase this one. Seriously, unless someone really hates avocados you’re going to be a winner at the baby shower. This little gem is fairly obscure unless you’ve seen the classic or 1980’s film, Little Shop of Horrors, starring Steve Martin, Bill Murray, and Rick Moranis. It’s a pretty funny musical! Newborn babies need to be fed every 3-4 hours. It’s as much fun as it sounds. Speaking of musicals, here’s a onesie that’s a bit more mainstream. Rocky Horror’s Time Warp song is a Halloween tradition, unless you just listen to it all year, every day. Is your purchasing decision becoming difficult? Don’t overthink it. The expecting parents will love anything you get them. This romper comes in different colors. Are the mom and dad to be fans of chemistry? If the answer is yes, then you’ve just hit the jackpot. You even get an added bonus with the included bib. You’ll surely enjoy the element of surprise when they reveal this romper. Other colors are available. Pac Man has been around since the 70’s and has continued for over 40 years. This onesie captures how parents and offspring evolve from one generation to the next. You can pair this romper with a sweet card that focuses on passing the torch. Wubba lubba! If you’re looking for a baby shower gift that taps into alternative pop culture, then Rick and Morty might be your answer. This pair is still wildly popular and their showbase is getting older and having babies. Need more gift ideas? Our Star Wars baby clothes will turn you to the darkside. Even though the show has ended, Adventure Time is loved by millions of people. A fan that is about to become a parent will love the nostalgic feeling of having Jake and Finn on their baby. Sparking those happy memories is the best gift you can give. There’s nothing wrong with falling in love with nerdy pop culture. If you know the expecting parents love Harry Potter or Lord of the Rings, but aren’t really nerdy yourself, then this onesie is a safe bet. They’ll love it. This onesie is perfect for Nintendo and Legend of Zelda lovers. The wooden sword is the first item you receive when playing the original NES Zelda. However, I do not recommend giving babies or toddlers a sword of any kind. Keeping in the theme of Legend of Zelda, this more modern style onesie is a great alternate choice for a gift. For the record, it has nothing to do with the Twilight vampire series. Calling future astronomers and space explorers that have adventurous parents! The NASA emblem on a romper is a classic gift idea for those that love venturing to the outer limits. The fun thing about dressing a baby is that they don’t know how to read or comprehend horror movie references. This cute version of Freddy will delight parents that love scary movies. Plus, you’re giving a gift with a positive message. Do the soon-to-be parents you’re purchasing for love to read? They’ll be absolutely elated to receive this romper. Reading to babies is almost as important as feeding them. This one is a winner. A family that games together, stays together. Well, that’s the note I would write on the card if I were giving this as a baby shower gift. This is a great romper if you are looking for something simple with a positive message. If a member of your family is having a baby shower, then you have no choice but to get them this onesie for their newborn. At first they will think it’s cute, but eventually they’ll come to the realization that their DNA is similar to yours. No matter, all humans share 99.99% of the same DNA. Any sci-fi nerds out there? I certainly hope so as this romper makes a wonderful gift for the parents to be if they love UFO’s and little green martians. 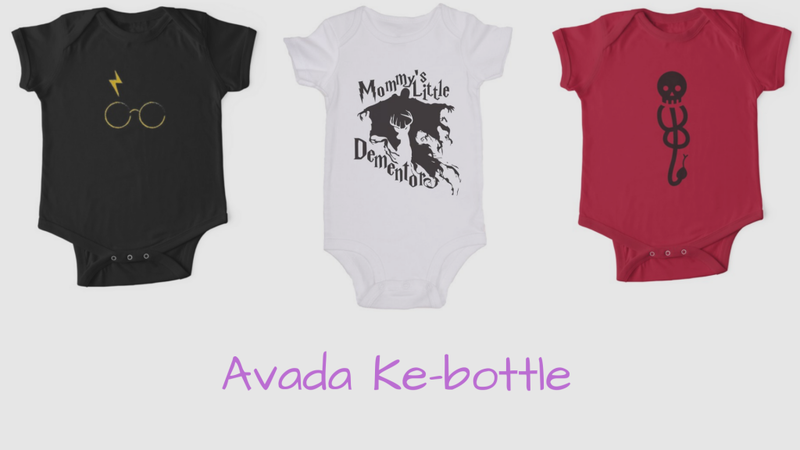 Accio, Harry Potter baby shower gift ideas! For those of you that are not big fans of Star Wars, but are looking for Star Wars baby shower gift ideas, then let me recommend this onesie. It references Star Wars, but it’s also hilarious and requires very little knowledge on the mentioned subject. Trust your instincts and make the purchase. Sometimes your friends are geniuses, or maybe you’re the genius who wants to give the gift of algebraic knowledge. Either way, this romper is adorable. I recommend this gift for those of you who don’t want to be too mushy, but still want something that brings a smile. I’m not a fan of gender-specific clothing, but I know that some people out there are more traditional. This romper is that compromise and it comes in lots of colors. Here’s another pro-science romper that makes a fantastic gift for nerdy families. It also comes in many different colors. Consider pairing this with an ABC science book. Are you searching for baby shower gift ideas that appeal to history nerds? Tesla was not just any famous inventor rather, he was an extraordinary futurist. Children need that kind of guidance in their life. The future holds amazing mysteries for them to solve. Marie Curie became the first woman to win the Nobel Prize in 1903. She’s the only woman to have won twice. Not to mention, she coined the term, “radioactivity”. Now this is a onesie a science-loving family would appreciate. One of the most popular Star Wars rompers of all time. Seriously, this is a safe bet for families that love a little humor in their everyday routine. Having a baby is about keeping a routine. Make those parents laugh while they still can. Sometimes you find yourself searching for a gift idea that’s just not something you’re into. Well, if you find yourself in that unfortunate position, here’s another safe bet for the parents-to-be. On point for teachers, architects, carpenters, and similar trades. We’ve featured several video game centric rompers, but what if the parents are into board games or rpgs? We’ve got you covered. You’ll easily roll a 20 with this unique onesie. This one comes in multiple colors, too. Is the mom or dad a fan of Doctor Who? Awesome! This isn’t about becoming a medical doctor, oh no, it’s about being a witty time-traveling hero. Our Marvel baby clothes will make you a superheroic gift giver. Another romper that’s really geared toward nerdy families that love adorable baby clothes. You don’t have to get this one in pink, it comes in several other colors. Perfect for pipe-fitters, teachers, and anyone who loves 3.14 Day. We don’t recommend buying newborn size baby clothes, but if you decide to, then this is a great one to purchase. People take babies for granted until they have one and then they are awe struck by this fascinating creature that keeps them up all night. Here’s an idea. How about purchasing this onesie with a note attached that reads, “Never ever feed them after midnight. Haha, yeah, good luck with that. Sweet dreams.” Ahh, the joys of buying other people baby gifts. All hail the Goblin King and David Bowie! Who doesn’t love Labyrinth? It’s the staple kid’s fantasy movie of the 80’s and I don’t say that lightly. This is the perfect gift for the parents of the babe with the power.